This page is setup for owners to show the fun they have with their Jambos. In this section, we include pictures of Jambo owners with other owners. To include your picture, email jambo152@82jambo.com. 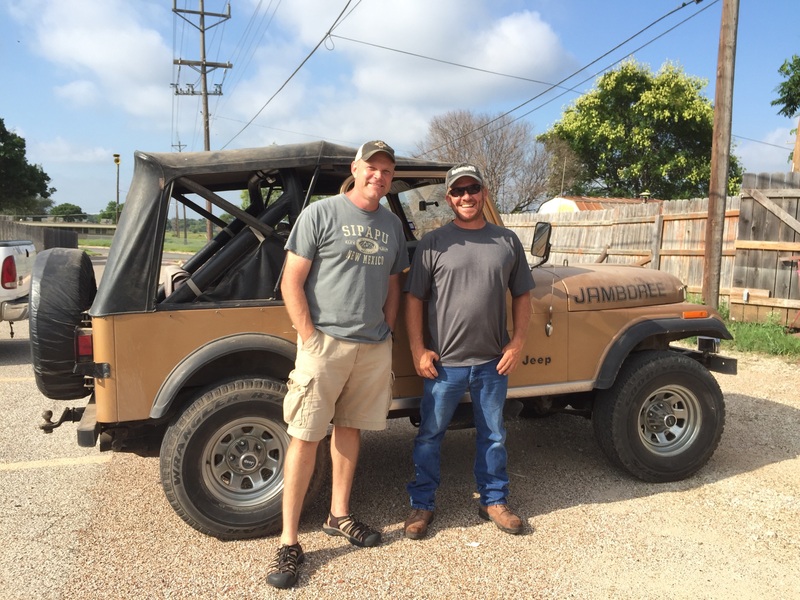 To be included you must be pictured with another owner or with a Jambo you do not own. Bickel (#0152) and Joe Ruby (#0525) with Jambo #0525 (aka Rover) in Glendale, AZ. Dave Behrens (#0639) and Bickel (#0152) with Jambo #0639 in Lake Elsinore, CA. 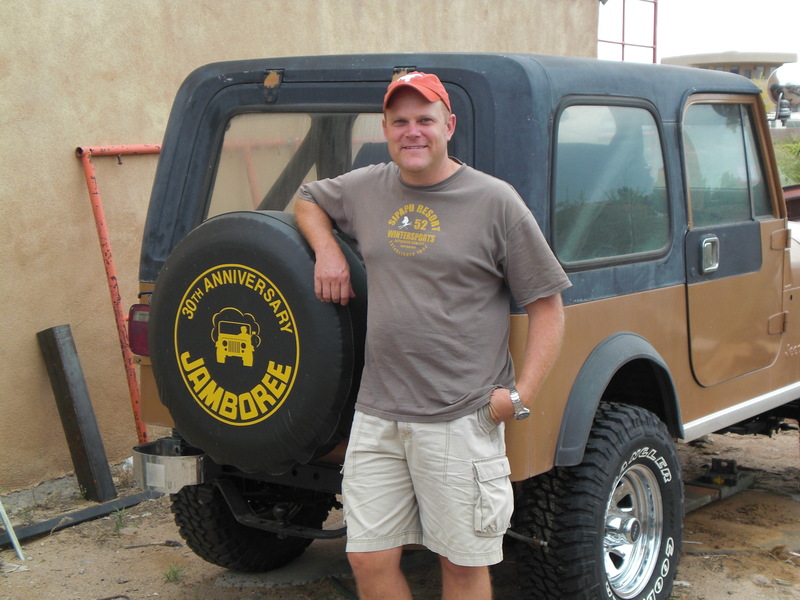 Bickel (#0152) with one of Daniel de Baca's (#0319 and #0355) Jambos in Corrales, NM. 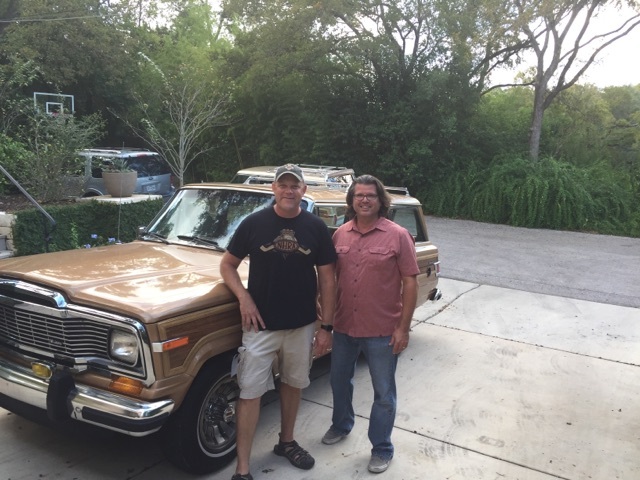 Bickel (#0152) and Heath Aggen (#0180) with Red Skelton's 1983 Topaz Gold Metallic Wagoneer in Austin, TX. 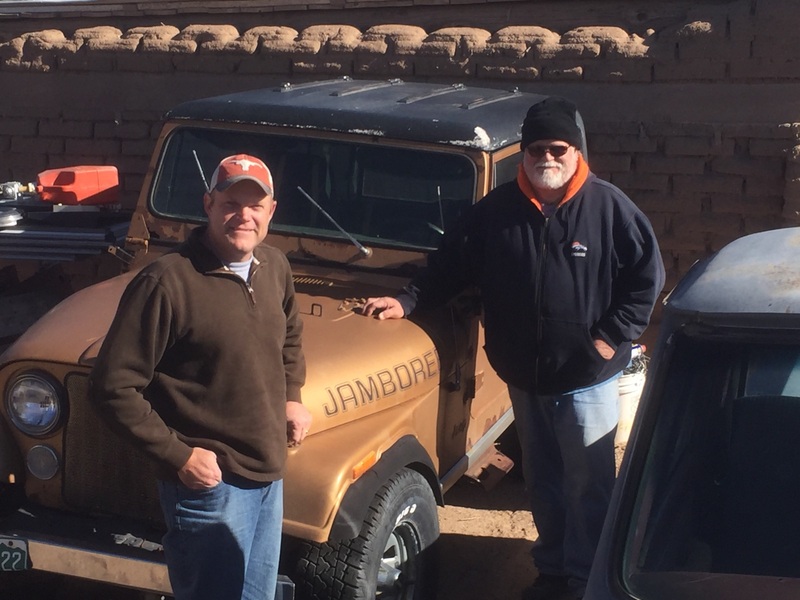 Bickel (#0152) and Dano' de Baca (#0319 and #0355) with Jambo #0319 in Corrales, NM. 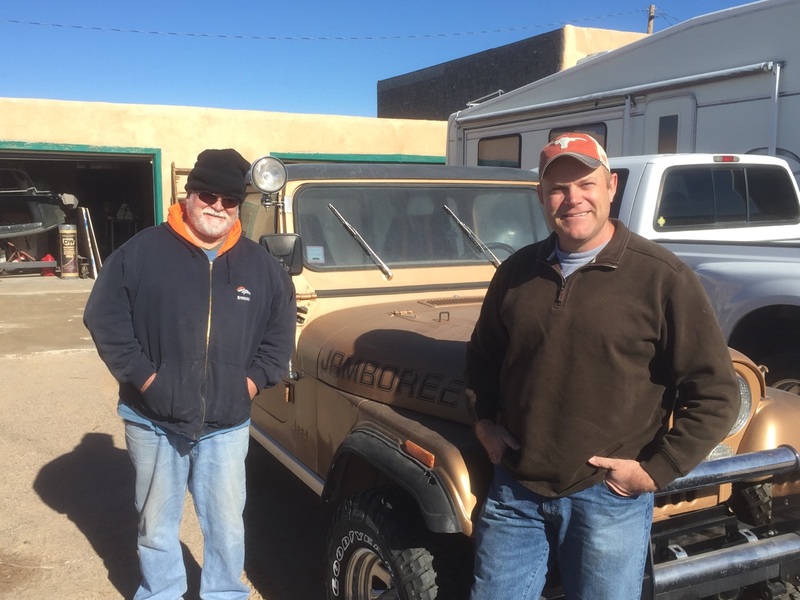 Dano' de Baca (#0319 and #0355) and Bickel (#0152) with Jambo #0355 in Corrales, NM. Bickel (#0152) with his buddy Bill and Jambo #0025 in Bakersfield, CA. 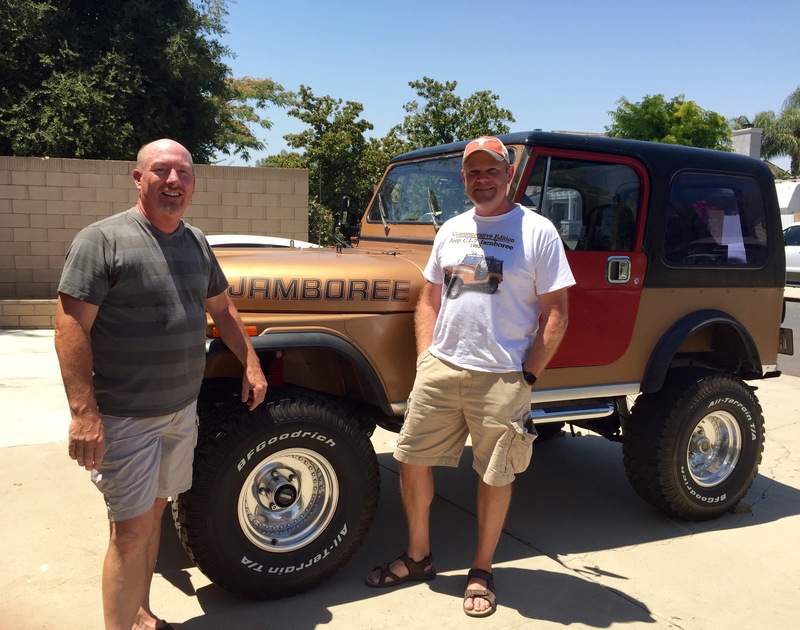 Bickel (#0152) and Paul Mince (#0025) with Jambo #0025 in Bakersfield. 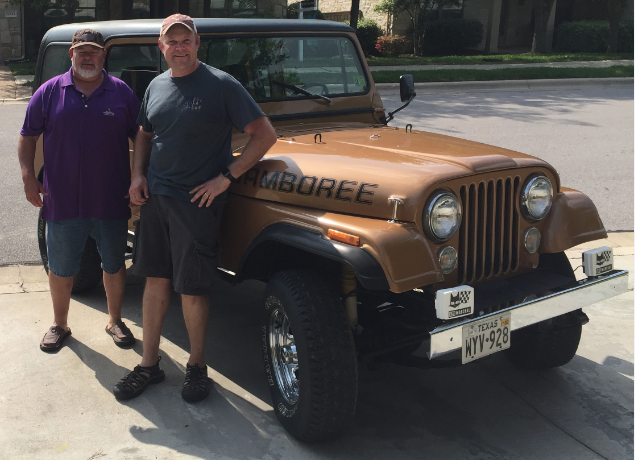 Smith (#0721) and Bickel (#0152) with Jambo #0152 in Austin, TX. Madden (#0173) and Bickel with Jambo #0173 in Diamond Springs, CA. 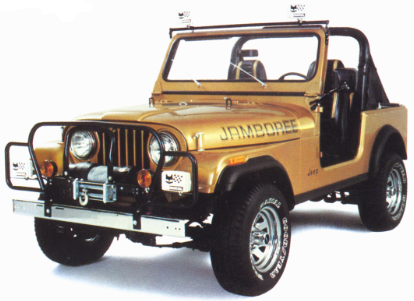 Some Jambos are not garage queens and are still used for serious off-roading. Here we feature some of these Jambos and their owners.